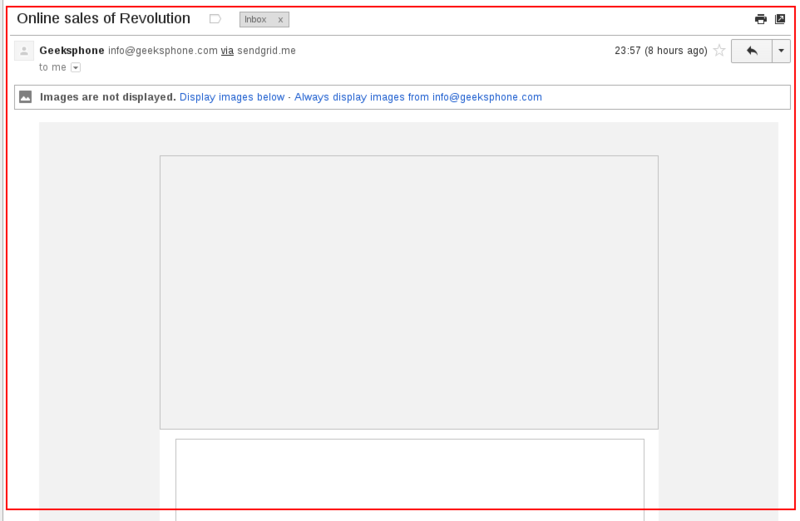 I just opened an email from Geeksphone. They are trying to sell “Revolution”. Revolution is not something you can sell, and it should not be something you should be able to buy – terrible name for an e-mail campaign subject. I’ve opened it just because I like Geeksphone products, but after that booom! No text on the visible part of my screen. Nada! I am not scrolling, sorry! Of course alt =” ” <- this is so geeky and it’s a standard now :) Who will need them, right. Mission Possible: Teach your clients to give you a perfect bug reporting, especially for design issues.